Topshop make-up is amazing! It's affordable, as well as the quality is really good. I don't wear blushes on daily basic, as I don't really need them, my cheeks always had natural blush. When I use medium coverage foundation, then I will always add some colour to my cheeks. All Topshop make-up packaging is so lovely, it's simple but very adorable. Wish most high street make-up brands had such a nice packaging. The blush is very creamy and easy to blend. I love to use Real Techniques Stippling brush, I tried to apply it with fingers, but it didn't work as well as using a brush. Head over Heels is a coral blush, peachy pink. It's has a matte finish, once it dries on your skin. The blush is well pigmented, so a little will go long way. I normally press my brush really lightly, and then I build up the colour. The blush last around 5-6 hours, which I think it's a fair amount of time. 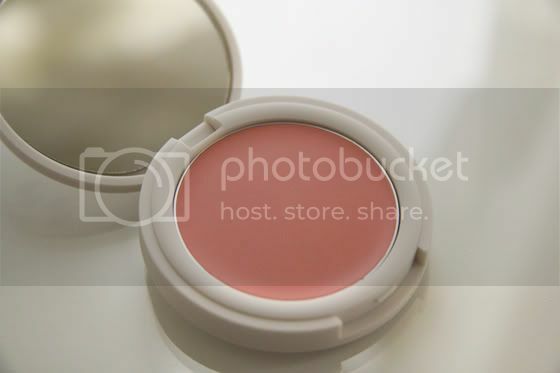 This blush will be amazing for summer. One negative that I have to say about this, is the fact that when you use a brush it will leave dust/small hair on it. I love the small mirror, I find products with mirrors very handy. I will defiantly pick up more Topshop Cream blushes. I want to try TOPSHOP make up! I should really make an order. It sounds lovely, the colour is really beautiful! 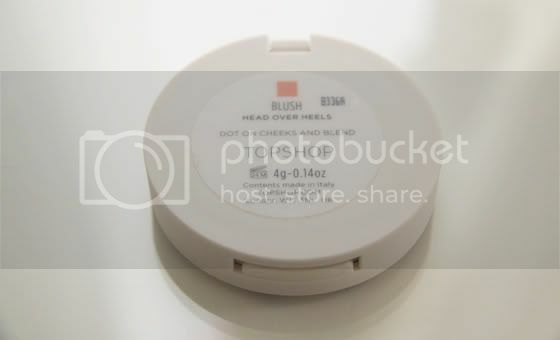 this is my favourite blush, my first topshop piece too! i now have six lipsticks, a gel liner, mascara, skin glow, highlighter, two cream blushes and one powder blush (and a blush and lipstick on the way!). oh dear! Hi hun! I just nominated you for a Versatile Blog Award :) http://mantrapixie.blogspot.co.uk/. 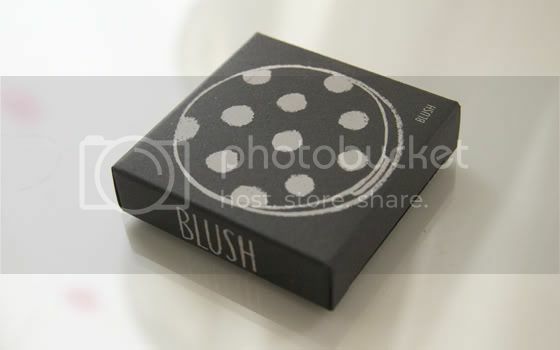 I want to try this blush! 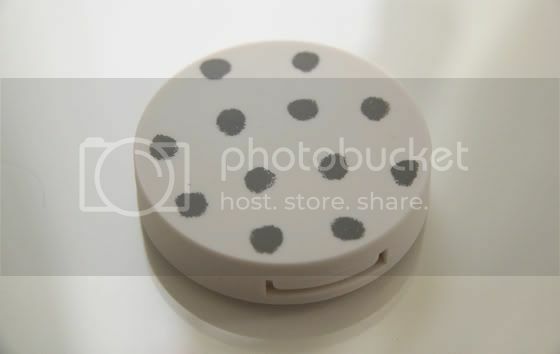 Gorgeous colour I really must try using the stippling brush with cream blushes as you are one of many to mention this. Loving the TS makeup and minute and also loving that they are hot in the blogging world.